It is 1963 and the Cold War is at its height. In a gloomy East Berlin, suave CIA agent Napoleon Solo (Cavill) is on a mission; to extract Gaby Teller (Vikander) from the country in order to flush out her father, Dr Udo Teller, once Hitler’s favourite rocket scientist. Dr Teller’s specific research into uranium enrichment poses a massive threat to world peace, and both the USA and USSR are desperate to stop his knowledge leaking onto the open market, where it would be sold to the highest bidder by a shady criminal organisation. To protect Gaby, and find her father, Solo is forced to work with KGB agent Illya Kuryakin (Hammer), his polar opposite. Solo is an art thief, working with the CIA in order to stay out of jail, while Kuryakin is a dedicated, by the book classic spy. Kuryakin poses as a Russian architect, with Gaby as his loving fiancé, on holiday in Rome where they visit Gaby’s uncle Rudi, a die-hard Nazi, while Solo works a parallel angle as a jeweller. So far, so 60’s spy story. Is Guy Richie’s take on the classic TV series any good? Well, it won’t win any awards for arty pretension, but I really enjoyed it! It’s a classic popcorn film, with plenty of action, loads of eye candy, and great costumes and set design. Neither Cavill nor Hammer are the world’s most amazing actors, though I am a big fan of Alicia Vikander, excellent in both A Royal Affair and Ex Machina, but they are very nice to look at. Cavill in particular fills out a suit very nicely and, pleasingly, everyone seems to be having a good time. The film has a lightness of touch and lots of very funny set pieces. 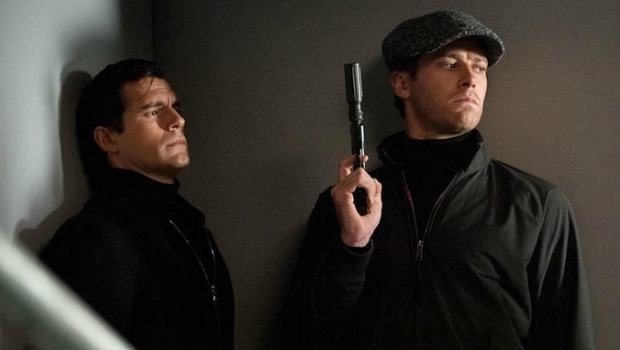 Henry Cavill as Solo and Armie Hammer as Illya. Richie’s style is a shout out to films of the 60s; he employs techniques like split screen and oversized captions to exaggeratedly fun effect; along with Vikander’s oversized shades and Mod style it calls back to films like The Thomas Crown Affair and Charade. Any fans of Mad Men will love the costume design; people weren’t afraid of colour in that decade! I loved her clothes and the outfits worn by Victoria (Debiki) as well as the set design of her lair. The soundtrack is also worth a mention, with songs by Louis Prima and Nina Simone among others. A number of 60s tv series have been adapted to the big screen without much success (anyone remember The Mod Squad? Did anyone see The Mod Squad?). 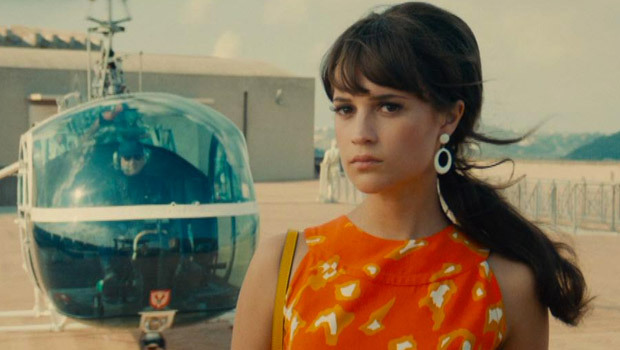 I really hope that The Man From U.N.C.L.E breaks that duck and that we see a sequel.